Gordon was appointed as Assistant Head Coach to Mixu Paatelainen on October 16, 2015 following the Finn's appointment as Head Coach several days earlier. 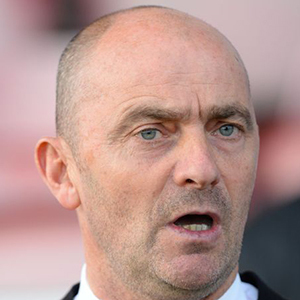 A former International Academy Manager at Sheffield United, Gordon had also spent thirteen years as Academy Director at Motherwell before joining United on a deal until June 2018. A three time caretaker manager at Motherwell, Gordon ended up taking the reigns at United for a caretaker spell following the departure of Mixu Paatelainen in May 2016. Taking charge of a relegated United, Gordon assumed the post of Head Coach for the final three games of the 2015-16 season in the SPFL Premiership, before Ray McKinnon took charge of the new Manager's reigns.